The CBSE organised JEE Main 2018 exam is said to have difficulty level from moderate to easy. New Delhi/09.04.2018: The Central Board of Secondary Education has organised the much-anticipated engineering exam of the year, JEE Main 2018 on 8th April 2018. The offline mode exam is said to have difficulty level from moderate to easy. The pen and paper based exam was held across the country, which saw a whopping number of aspirants (close to 12 lakhs) turning up at 285 centres across the country. Last year, the number of centres was limited to 113. 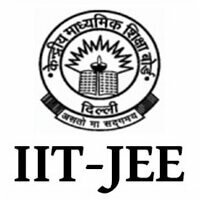 Eligible students will be called in for JEE Advanced 2018 exam, which has been scheduled to be held on 20th May 2018. However, only 2.24 lakh out of 12 lakh aspirants can appear in the exam. In the words of Professor Uday Nath Mishra, Chief Academic Officer, basic first, "Expected cut off is 80(+-5%) marks out of 360. The paper was moderate and based on NCERT. Chemistry was the most lengthy section among three. Organic chemistry was found more difficult, Physical chemistry was more numerical based, whereas, Inorganic chemistry was easy. Maths was mostly based on class 12th syllabus and was more formula based. Maximum questions were from Calculus. Physics was based on class 11th syllabus, and a greater portion of Mechanics & Electrostatics was covered." Physics: Surprisingly, Physics was the toughest paper amongst the three. The questions were a mix of theory-based and calculative. This section was not lengthy. There were 17 questions asked from the 12th standard syllabus and 13 questions from the 11th standard syllabus. This section had 4 difficult questions, 20 moderate questions and 6 easy questions. Initial assessment suspects none of the options of Q.6 Set B was correct. This was the question based on Pulley where minimum mass was required. Mathematics: Surprisingly, Mathematics was the easiest paper amongst the three. Most questions were calculative. There were 10 questions asked from the 12th standard syllabus and 20 questions from the 11th standard syllabus. This section had 3 difficult questions, 14 moderate questions and 13 easy questions." Chemistry: Chemistry was moderately easy among the three sections. The questions were a mix of theory and calculations, which ensured that students saved time for the other two sections. This section was lengthy in comparison to the other sections. There were 14 questions asked from the 12th standard syllabus and 16 questions from the 11th standard syllabus. This section had 3 difficult questions, 17 moderate questions, and 10 easy questions. Initial assessment suspects students may find 2 options of Q.63 Set B could be correct. However, we think the answer should be option 1. This was a question of Alcohol phenol and ether, on a reaction of Phenol. It is said that the expected cut-off in JEE Main exam would fall somewhere between 80 and 105. The exam would see negative marking; hence, a wrong answer could result in reducing the total score. Those who have appeared the offline mode exam and those who will be taking the computer-based exam on April 15 and 16 can check the official answer keys and OMR sheets on www.jeemain.nic.in between 24th and 27th April.